Low carbohydrate diet plans restrict your carb intake, reducing the grams and carb calories sometimes well below the recommended amount. Among these weight loss plans, The Atkins Diet is the most restrictive during their 2 week induction; limiting your carbs to only 20 grams per day. The Zone, another popular way to lose weight with reduced carbs, offers the most carbs for their diet. Allowing up to 40% of the calories from carbs, this plan is less restrictive than many others. These type of weight loss plans are often considered “fad diets”. However, there are times and situations where people need the restrictions in certain foods. Many have seen great results using a carb restricted food plan. One draw back to diets like these that some people experience is gaining it all back once they are done. This is primarily due to the fact that people revert back to old eating habits. The reason this occurs is that many of these types of plans don't teach weight maintenance habits. Below are some of the most popular low carbohydrate diet plans with a short review and overview of each program. The Atkins Diet starts you off with a 2 week “induction” phase. During this phase your carbs are extremely restricted to only 20 grams per day. After the initial 2 weeks, you slowly increase your carbohydrate intake to 30 grams per day over the next 4 weeks. After this period, you add 10 gram increments slowly until you have stopped losing weight. Hopefully by this point you have reached your goal weight and are at the recommended 60% of calories coming from carbohydrates. If you are not yet at your goal weight then you would slowly reduce carbs again until you have reached your goal. The Zone Diet is based on a 40-30-30 concept with 40% of your calories coming from the “right” carbohydrates, 30% from protein and 30% from fats. Again the focus is on the “right” fats and proteins for this low carbohydrate diet plan. The eating plan consists of a small amount of low fat protein, about a fist size portion, at each meal and at each snack at mid afternoon and late evening. Each meal also includes the “favorable” or “good” carbs that are twice the size of the protein serving. These low carb foods include veggies, lentils, beans, whole grains and most fruits. An additional serving of the “unfavorable” carbs are included but a much smaller serving. These “unfavorable” carbs would include brown rice, pasta, papaya, mango, bananas, dry cereal, bagels, carrots and all fruit juices. The South Beach Diet has 3 phases. The first phase is the most restrictive of carbohydrates eliminating foods like rice, pasta and breads. In the second phase some of these foods are added back to your meal plan. 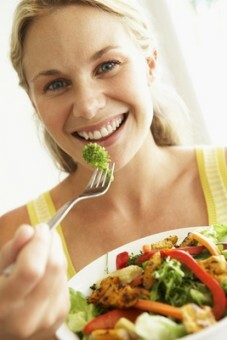 The last phase, phase 3, is about leaning how to eat healthy for life and maintaining your weight. This low carbohydrate diet plan is all about selecting the right carbs based on the glycemic index. The better the glycemic index value, the better these carbs are for you. The Glycemic Impact Diet, as the name suggests, focuses on the glycemic index of the foods but takes this one step further. In addition to looking at the GI for carbohydrate foods it also considers the Glycemic Load. The glycemic load is a combination of the GI and the amount of carbohydrates the food has which determines the glycemic impact of the food. A good example is the carrot. The carrot has a high GI but a low amount of carbs per volume, meaning the carrot has a low glycemic load making this a great food for this low carb diet. The Glycemic Impact Diet is based on a 40% carbs, 30% protein and 30% from healthy fats. This diet is high in protein and this is the main “ingredient” to this weight loss program. Meat lovers will have no problem with this diet while vegetarians will have a limited selection with tofu being the primary source of protein. Depending on the amount of weight you need to lose, carbs are restricted to only 30 grams per day and up to 55 grams per day. They provide a low carbs list of veggies and fruits to make your selections easier. These include leafy green veggies, tomatoes, peppers, broccoli, zucchini, cucumbers, etc. Additionally, you can add in 25 grams of fiber which can be subtracted from the carbs in processed foods giving you more grams of carbs to play with in your total low carbohydrate diet. If you are a diabetic, you should check first with your doctor before trying any of these low carbohydrate diets. Due to the potential for foods high in fat and the restricted carbs, these diets may or may not be the right choice for you to control and manage your blood glucose levels. Find out all about the benefits of a low carbohydrate diet. Before you pick your perfect weight loss plan read some of these reviews. There are fads diets, established programs and more. So what is a carb anyway? Learn more by reading this article. If you love your carbs and don't want to give them all up, then make your carbohydrate choices count to lose weight and get healthy.